Petals of Muoli: DEMISE OF HUMANITY? Prof Stephen Hawking has just issued a warning that the development of full artificial intelligence can spell the end of humanity. The fear of the human race being controlled by machines can be traced back to the birth of the computer. From small talks in church that 666, the mark of the Biblical Beast refers to a huge computer, to numerous science fictions and movies depicting the ultimate machine that conquers and over rule human race. 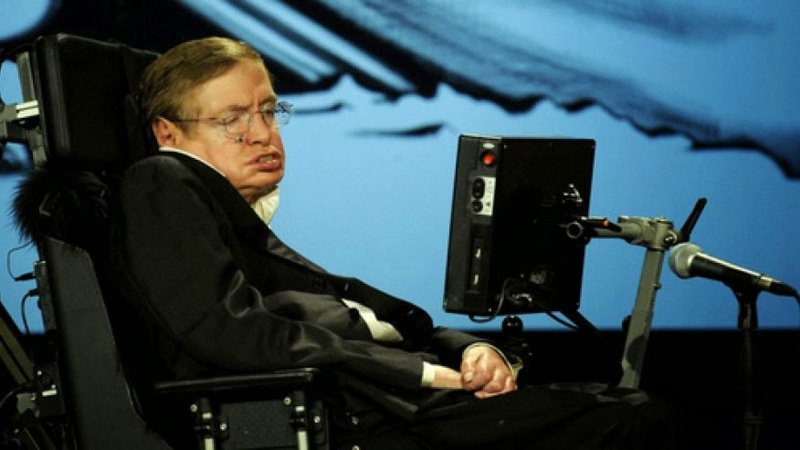 What the Swiftkey project is developing is in essence a synthesized Stephen Hawking from a collection of historical data of how the professor processes questions, responds and answers, and uses them to predict what will be his next step. Right here at home, Singapore announces its plan to make us the first Smart Nation in the world. The fact is Singapore has over the years; phase after phase, layer upon layer adding to physical infrastructure to make us draw even closer towards achieving this dream of a Smart Nation. What this means is the employment of artificial intelligence to help us anticipate, predict and determine what is best for Singaporeans from physical data collected and analyzed. This would also mean an expectation of cutting edge efficiency in cross-nation communications to come. I have always said : "Without Google I am nobody", and these days I have to add Facebook to it. As individuals, we have done away much of the tasks that requires brainwork and have them done better and faster with online helps that of curse link to big machines that grid themselves together. "Shortcut" is an iconic word that is more profound than a little graphic representation on the screen. Literally we are much dependent on shortcuts for our daily lives. Many have also brushed aside the prominent professor's fear as an overblown scarecrow, but whether it is or not can be better mitigated philosophically than if this prediction will eventually becomes real. Should the fear of doom stagnate our pursuit and search for better ways to manage our lives as individuals and as society or nation? If indeed this is going to be the forgone conclusion, and this is how humanity will develop and moved towards, the fear of it will not make it disappear or change. However, it is always good to have warnings now and then, then not to have any at all. Humans tend to get overwhelmed and carried away with indulgence and some infrequent warnings are certainly positive and welcomed. I wondered about the day without Google, or online Thesaurus. Well I still have my Oxford dictionary and Thesaurus in hard copy, with a pair of glasses and a magnifying glass. But I doubt the day will come, probably not in my lifetime.